Dr. Redberg is a member of the Medicare Payment Advisory Commission, which advises Congress on Medicare payment issues. She also served on the Medicare Evidence, Development and Coverage Advisory Committee from 2003-2006 and was reappointed in 2012 as Chairwoman of MEDCAC. Dr Redberg is a member of the California Technology Assessment Forum, the Medical Policy Technology and Advisory Committee, and the Food and Drug Administration Cardiovascular Devices Expert Panel, and is a consultant for the Center for Medical Technology Policy. She has given Congressional testimony multiple times in hearings related to the issue of balancing safety and innovation in medical device approvals. 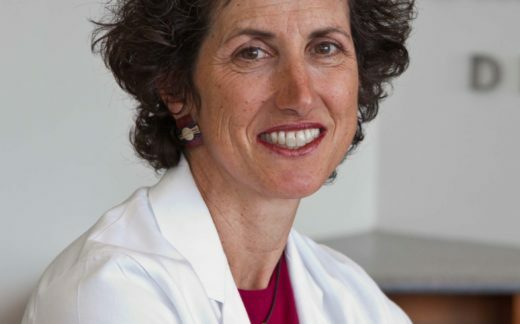 Dr. Redberg worked in the office of Senator Hatch and with the Senate Judiciary Committee on FDA-related matters during her tenure as a Robert Wood Johnson Health Policy Fellow, 2003-2006. She is an elected member of the National Academy of Medicine (formerly Institute of Medicine). Dr. Redberg was a member of the Institute of Medicine’s Learning Health Care Committee, which produced the report Best Care at Lower Cost in September 2012 as well as the National Academy of Medicine Committee on A Learning System for Military Trauma Care. She chaired the AHA/ACC Writing Group on Primary Prevention Performance Measures and is a member of the American College of Cardiology’s (ACC) Clinical Quality Committee and serves on the Quality in Technology Work Group. She is on multiple technology assessment boards, including the Blue Cross Blue Shield Medical Advisory Panel and the California Technology Assessment Forum, as well as the Institute of Clinical and Economic Review Advisory Board. Dr. Redberg has authored several books, including You Can Be a Woman Cardiologist, Heart Healthy: The Step-by-Step Guide to Preventing and Healing Heart Disease, and Betty Crocker Cookbook for Women: the Complete Guide to Women’s Health and Wellness at Every Stage of Life. She has done hundreds of radio, television and newspaper interviews on health related topics including being featured in The New York Times, Wall Street Journal, USA Today, National Public Radio and the Today Show. Dr. Redberg graduated from Cornell University and the University of Pennsylvania Medical School and has a Master of Science in Health Policy and Administration from the London School of Economics.